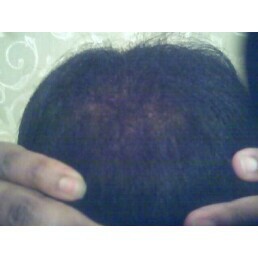 As mentioned in the previous comments to your concerns, this hair loss is characteristic of neurodermatitis of the scalp. Your scalp should improve with medical treatment. See a dermatologist at your earliest convenience.